5-pocket skinny jeans with tummy-control panel and inner elastic waistband for a sophisticated and shapely style. 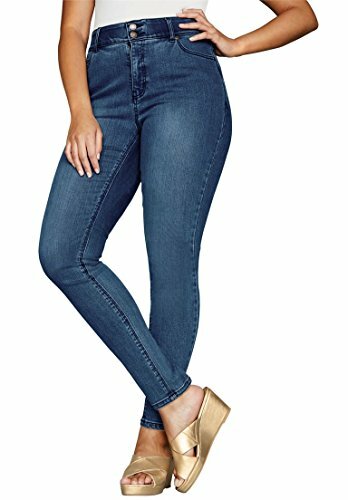 27" inseam Cotton/spandex Machine wash; imported Style & Fit Tips: The tailored, straight fit of these must-have jeans gives you a classic look while the tummy-control panel offers a slim silhouette. Easy to dress up or down, these jeans are a modern wardrobe essential for every occasion from a casual Friday at the office to a Saturday night out on the town.